This is your chance to try out new hiking and running shoes before you buy them! On Saturday, August 1st, leading footwear brands Oboz, Topo, Merrell, La Sportiva, and Darn Tough Socks will be on the Mt. Rose trailhead (located on the East side of Mt. Rose Meadows) on the Tahoe Rim Trail, and you can demo as many pairs of this year’s best trail shoes as you’d like; it’s all free! In addition to trying some awesome new shoes, Suunto will be on-site with FREE demos of their incredible outdoor watches! 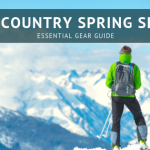 – Cost: FREE – With Giveaways from Darn Tough and Tahoe Mountain Sports! 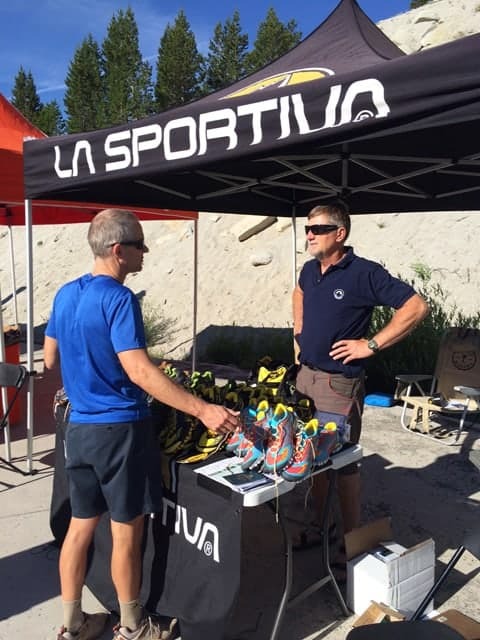 La Sportiva will once again be on site to help fit you with their best trail shoes! This section of trail is one of the most beautiful and accessible around Lake Tahoe. It offers stunning views, wildflowers, wildlife and waterfalls, and is great for both novice and experienced hikers. The brands sponsoring this event produce the finest off-road shoes on the market, and it’s rare to have them all on-site simultaneously with demo shoes for everyone. All participants that try out a new pair of shoes will receive a free pair Darn Tough socks! This combination of free offerings is sure to please any hiker or runner who attends. 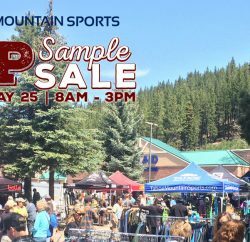 This TMS Footwear Demo is in conjunction with the Tahoe Rim Trail Challenge. The Tahoe Rim Trail Association (TRTA) mascot, McLeod the Marmot, as well as TRTA staff, will be greeting hikers and encouraging Challengers as they work toward their goals. Find McLeod and he’ll give you a prize! Visit tahoerimtrail.org for more information or to register for the Challenge. It is NOT necessary to register for this TMS Footwear Demo. Ever hiked the Tahoe Rim Trail or trekked around the Mt. Rose area? Then you know how beautiful this trail is, and you’re probably looking for any excuse to get back on it. 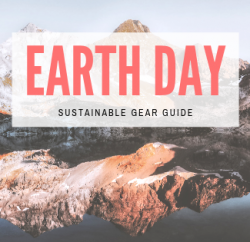 Well, this is your chance to try out new hiking and running shoes before you buy them! 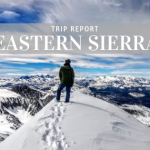 With the best off-road footwear on demo for everyone, spectacular views of Lake Tahoe and the surrounding peaks and valleys, and no charge whatsoever, you’re not going to want to miss this event. Are you already participating in the Tahoe Rim Trail Challenge? The Tahoe Rim Trail Association (TRTA) mascot, McLeod the Marmot, as well as TRTA staff, will be greeting hikers on-trail and encouraging Challengers as they work toward their goals. Find McLeod and he’ll give you a prize! The Tahoe Rim Trail Association’s mission of maintaining and enhancing the 165-mile long trail system that stretches around the entirety of Lake Tahoe aligns with Tahoe Mountain Sports values in regards to stewardship, conservation and resource management in this beautiful region we call home.